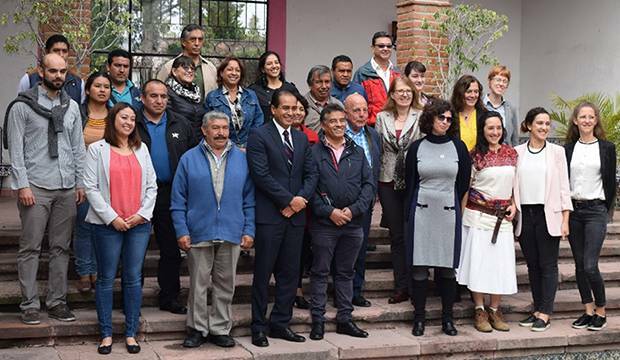 From 12–16 November 2018, 48 participants, including researchers, students, municipal government officials, professionals, operators of wastewater treatment plants, and civil society in Mexico, with the participation from Guatemala, Cuba, and Germany, gathered in Tepeji del Río, Hidalgo, for the SludgeTec closing workshop. Organised by the United Nations University Institute for the Integrated Management of Material Fluxes and of Resources (UNU-FLORES) and the Environmental Infrastructure Trust of the Valleys of Hidalgo (FIAVHI), the final objective of the closing workshop was to present results of the evaluation of the current situation of wastewater management and treatment in Latin America and the Caribbean (LAC); and the development of new sustainable proposals for the case. The “SludgeTec Closing Workshop: Sustainability of Wastewater Systems” consisted of three main parts: first, the presentation of the general vision and that of the participants regarding the situation of wastewater management and treatment systems for the cases of Tlaxinacalpan, Tepeji del Río (TDR), Mexico, as well as the Cebollales plant, Panajachel (PNL), Guatemala. In this section, participants identified the current state of and practices for wastewater management and their problems, solutions that have been implemented, and the future perspective to improve treatment plants. In the second segment, the SludgeTec team presented the results obtained from the field using a sustainability evaluation framework. 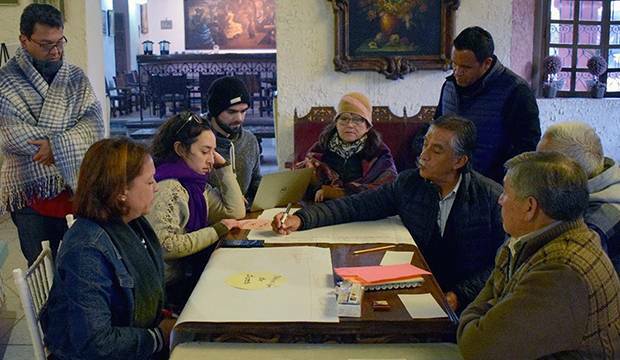 The analysis of social actors and social networks revealed that Panajachel (with 64 actors) exhibits a more complex social network than in Tepeji del Río (17 actors). Complexity was also analysed, drawing attention to goal conflicts, system complexity, and information uncertainty. 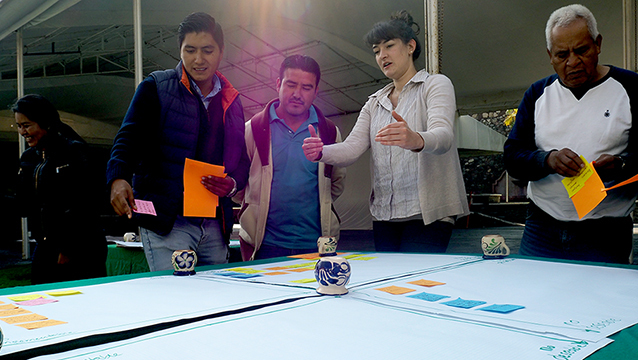 The results allowed participants to understand the context and current state of affairs within the sustainability framework, considering the social networks and the complexity of the situation. Based on these results, participants were able to extract the various aspects that should be considered in the development and implementation of sustainable measures, serving as a basis for participants to devise possible solutions aimed at the sustainability of their wastewater treatment systems. In the third and final segment, all stakeholders present took part in interactive activities to co-design proposals for sustainable solutions based on the information on the status quo of wastewater management and treatment. Among the activities were: (a) to act on the gaps detected focusing mainly on aspects of resource management, especially in the coordination of the entities involved in wastewater management; (b) to come to a consensus on the process of selecting solutions, distinguishing between which should be prioritised and are feasible, and which are unnecessary and unrealistic, and the contrast between them (e.g., very necessary, but not feasible versus very feasible but not necessary); (c) to cooperate closely in the drafting of a document that makes explicit the set of proposed measures and the commitment of all interested parties to improve the wastewater management and treatment system and its management under a sustainability framework. 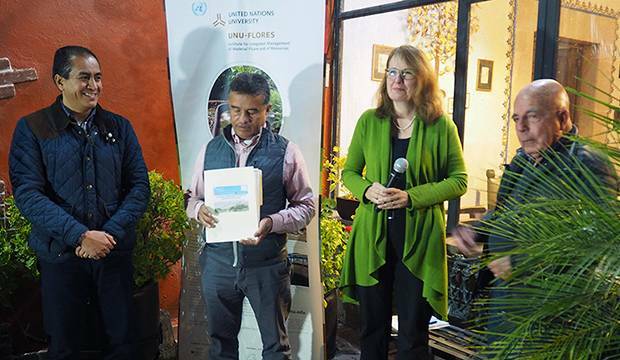 One activity that generated great interest among participants was the presentation of this document to the mayor of Tepeji del Río. The document acts as a resource marking a clear path for local decision makers to take future actions in the management of wastewater. Culminating the workshop, the handover of the document aimed at helping to mitigate the current negative effects on the environment and the community, to improve the treatment of wastewater and consequently, to promote the quality of life of the communities while preserving ecosystem services. Implementing sustainable wastewater management requires enormous effort and commitment from all stakeholders. Sustainability in wastewater management calls for effective governance and integration. For example, during the workshop, the role of local institutions and decision makers was highlighted, which must be in sync with society, responding to their needs. In addition, institutions require the guidance and support of scientific and technological solutions with the help of academia in order to address the matter with greater certainty. Academia should not be excluded from this exercise. The role of communities in the implementation of sustainable solutions is also of utmost importance. In this case, work is carried out with communities to inform and educate them about the use of treated wastewater, for example, in agriculture. The complex (wicked) nature of sustainable wastewater management is evident above. 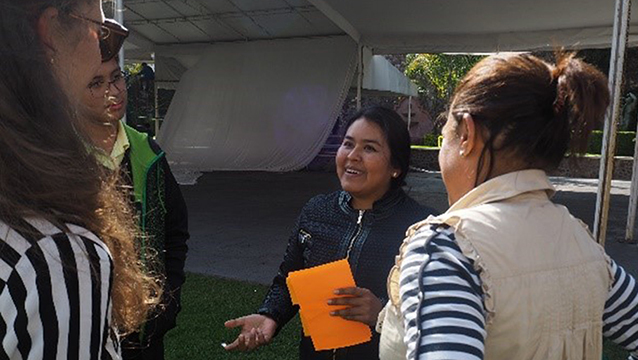 In the context of LAC, it is often a challenge to maintain the links firmly in order to be able to move towards sustainability (referring to the social, economic, and technical-environmental aspects). Even when institutions (including policies) and the community itself act cooperatively, it is difficult to know in advance if their results will be positive, because like any complex system, it is difficult to predict the evolution of their dynamics. This workshop, and in general the SludgeTec project, is presented as an example of the efforts required to move towards sustainability in wastewater management and face complex problems despite the challenge it presents. Véase este artículo en español aquí.